VICELAND: Gangland kingpin Ashton is currently serving a 22-year sentence. Gangland kingpin Ashton is currently serving a 22-year sentence. Gangland kingpin Ashton was one of three men jailed for a total of more than 100 years for their part in gangland terror on Tyneside in 1998.They were caught after a two-year investigation by police who examined incidents going back to 1971.A grim picture emerged of gangland violence on Tyneside, including firearms offences, brutal assaults, drug-dealing, witness intimidation, large-scale benefit fraud and robbery.Ashton was jailed along with Robert Webber, of Stonecrop, Beacon Lough Estate, Gateshead, and Paul Steven Lyons, of Teesside.A gun battle and a bayonet attack were among Ashton and Webber’s attempts to kill former friend, Terence William Mitchell.The violence came to a head in January 1996 when Webber and Ashton, in a car, ambushed their victim as he arrived at a friend’s house.Shots were fired by Ashton and a gunfight broke out. Five loaded firearms were seized from the scene. In 2004, he was ordered to hand over £209,000 assets made from his drug-dealing business.He was forced to sell six properties to cough up £350,000 of profits from crime, which was finally demanded by the High Court after his assets were frozen. He is currently serving a 22-year sentence.Paul Ashton’s pensioner mother has joined him behind bars for smuggling heroin to him in jail.And now his mother Margaret Rose Ashton is also serving a sentence.It seemed like a show of motherly love when she made the trip from Tyneside to visit Ashton in York’s Full Sutton prison.But the visit by the granny was the ideal front for a heroin-smuggling racket, using her mouth to stash the class-A drug.And the 65-year-old, of Greenwood Gardens, Felling, Gateshead, has joined her son behind bars after being sentenced to 18 months in jail after admitting her crime.The pensioner was found guilty of attempting to smuggle more than six grammes of heroin into him.Ashton, of Gateshead, whose gangland empire was compared to the Kray twins, was jailed in 1998 for conspiracy to murder, conspiracy to supply class-B drugs, violent disorder and perverting the course of justice.His mother was paying a visit with her 15-year-old grandson and son-in-law when guards caught her with the drugs in May. 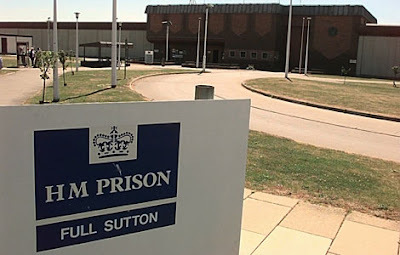 Hull Crown Court heard two packages containing 6.22 grammes of diamorphine, with a street value of about £340, were discovered on her.She admitted bringing the package in to jail, but said she thought it contained cannabis. 0 Response to "Gangland kingpin Ashton is currently serving a 22-year sentence."